With over 30 years experience in supplying the best Marine Coatings, Dove-Medows is a name you can rely on. With so many products in stock we will bring you regular featured products that reflect the time of year and the latest products on the market. We pride ourselves on our relationships with our customers. We are happy to offer advice and opinions. See what our Customers think. Dove-Medows Marine Coatings is based just outside Newton Abbot, Devon. We are stockists and distributors of a wide range of marine paints, epoxy and polyester resins, varnishes, antifoulings, pigments and composite materials to the marine trade. We can also supply industrial coatings. 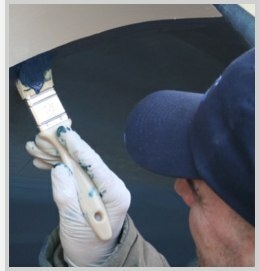 Established 35 years ago, we have a long and proven record within the marine industry.We pride ourselves in doing our very best for our customers and because we’re an independent coating supplier and not tied to anyone particular manufacturer, we can ensure you get the right product for the job along with free and straightforward technical advice and support should you need it. Our range includes: Alexseal Yacht Coatings, Awlgrip Yacht Coatings, Epifanes Yacht Coatings, Hempel Paints International Paints, Rylard Paints & Varnish, Saba Marine Adhesive Systems, Teamac, Blackfriars, Coppercoat, Nautix, SP Systems, Blue Gee Epoxy Resin Systems, Polyester Resins, Gelcoats, Flowcoats & Pigments. Reinforcements such as Carbon, E Glass, Biaxial Glass, Chopped Strand Mat and Corecell Structural Foam. We also stock MG Duff Anodes, stainless steel nuts & bolts and ancillaries such as paint brushes, rollers, trays etc. So whether you are a boat builder, fisherman, chandler, marine engineer or run a boat yard we’ll have the right product for you. Our trade account customers receive free* (min order applies) weekly deliveries throughout Devon, Cornwall, Dorset & Somerset using our own vehicles, and those who need deliveries further a field, via a courier.